Traveling can be stressful at the best of times, getting to the airport several hours before the flight, waiting in long lines, long waits sitting in uncomfortable chairs, the hustle and bustle of other travelers, and the constant worry of germs and trying to avoid getting sick while traveling. 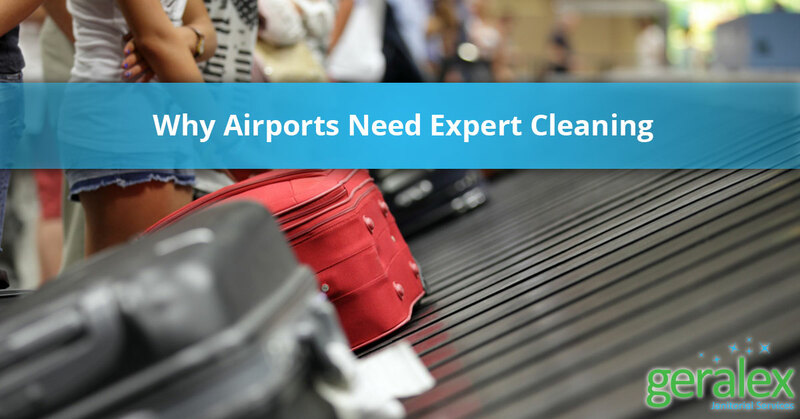 There are many aspects of airport cleaning that allow passengers to feel safe and germ-free while waiting in the terminal. Throughout Chicago, there are airports that provide flights around the world. When you have hundreds or thousands of travelers moving about in your airport, how do you keep everything clean? With the help of a commercial cleaning service, you can be confident that everyone is protected and safe. When many surfaces in airports are carpet, it is crucial to have a janitorial company who knows the importance of clean carpets. It can be difficult when children are running around with open juice containers, sleep deprived travelers that spill food, dropped food wrappers, or even people with dirty shoes walking around. With our eco-friendly cleaning products, our cleaning company wants to ensure that carpet throughout your airport will be cleaned thoroughly. Even the hardest stains and the most stubborn odors can be eliminated with the right technique and products. Whether it’s the carpet at the entrance or carpet at the terminals, your travelers won’t need to worry about germs on the floor when each carpeted surface looks clean and fresh. Possibly one of the most important aspects of airport cleaning is the bathrooms. As soon as travelers walk into the bathroom, they expect to see clean floors, clean stalls, clean sinks, more than enough toilet paper in the stall, full soap dispensers, and hand towels are within reach. When travelers don’t have a choice on where to go, they will put up with a little mess here and there, but a messy or dirty bathroom will always stick in their mind. Prompt attention and care needs to be paid to each bathroom in your airport to make sure that your guests are happy and feeling clean when they board their flight. From sanitizing the floors, toilets, and sinks to refilling soap dispensers, toilet paper, and hand towels, with a reliable and professional commercial cleaning service, you can be confident that passengers will want to fly from or into your airport again and again. Bathroom airports always have a constant stream of people coming and going. Maintaining a clean, sanitized, and safe bathroom is a priority for our cleaning company. It can be surprising how quickly a trash bin will fill up when there is a busy flight schedule with hundreds of passengers eating a quick snack before their flight. In order to help travelers keep floors and areas as clean as possible, it’s important to keep trash bins empty. A buildup of trash means overflowing bins, leaving travelers without a choice but to keep piling the trash on top. Not only does this give an unpleasant appearance, but odors coming from overloaded trash bins will quickly seep to other areas. It may not seem like a big deal, but removing full bags on a timely basis will ensure that additional problems don’t arise. When it comes to the safety and comfort of your passengers, it takes more than just a cleaning company. With Geralex, you can expect superior service along with a thorough clean. Our commitment to clean is based on wanting to provide every traveler in the Chicago area with a peace of mind. The kind of peace that comes with knowing they are getting the best. 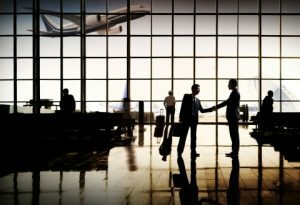 The travelers in your airport may not know us personally, but seeing clean and fresh bathrooms, stainless carpets, empty trash bins, and more, they will know that a company who cares is working to keep them safe. Geralex is dedicated to providing an exceptional clean using eco-friendly products that work and a space where travelers will feel germ-free. The airports in the Chicago region are some of the busiest. With so many people in close proximity to each other, the cleanliness of each surface is more than just important. Maintaining a space that will promote healthy living and stop the flow of germs is essential to each traveler’s day. Whether passengers are on vacation or going on a business trip, travelers will remain as healthy as possible when the airport is clean. For a professional and reliable commercial cleaning service, give Geralex a call today to learn more.